Gift of David Clark Madeira, great-great-great-grandson of E.W. Clark (1828-1904). The collection passed into the hands of David Clark Madeira in the following manner. Marion Clark (1867-1939), daughter of Edward, married Louis Childs Madeira (1853-1930) (A.B. 1872) and they became the parents of three children: Edward W. Madeira, Crawford Clark Madeira, and Elizabeth Madeira. Elizabeth Madeira (1906-2001) did not marry. She inherited the collection from her grandparents. She was active at Penn in the governance of the School of Social Work. Her older brother, Crawford Clark Madeira (1894-1967) (B.S. 1916), was very active in the General Alumni Society of the University and was eventually elected its President, thereby serving as a Trustee of the University. He was the father of Lewis Neilson Madeira (Class of 1943, non-grad. ); the grandfather of Lewis Neilson Madeira, Jr. (A.B. 1967), and the great-grandfather of David Clark Madeira (A.B. 1989; M.G.A. 1996). When Elizabeth Madeira died, the collection passed to her great-great-nephew, David Clark Madeira, who donated it to the University Archives on 29 April 2004. The Clark and Madeira collection is organized into the following series and sub-series: Edward White Clark (1828-1904) papers: diaries, c. 1850-1863, 1871-1904, genealogical research, c. 1900, Historical Society of Pennsylvania documents, 1855, legal documents, 1904, literature, c.1840, c 1855, memorial books, 1867, 1904, newspaper articles, c. 1855, travel diaries 1881, 1888; Mary Todhunter Sill Clark (1835-1908) papers: diaries, 1870-1871, legal documents, 1855, 1908, inventory books c. 1900; Joseph Sill (1801-1868) papers: his diary published in a Philadelphia newspaper, 1831-1845, legal documents, 1825, memorial books, 1854; Marion Clark Madeira (1868-1938) papers: correspondence 1880-1939, diaries, 1883, 1890, 1899, family Christmas items, 1894, 1899, 1909, 1920, 1923, 1925, 1926, 1929, 1933-1939, invitations, 1918, 1926, 1930, legal documents, 1939, memorial books, 1892, 1914, music related items, c. 1900, 1910, 1938, newspaper articles, 1939, notebooks, 1892-1909, c.1900, photographs, 1856, c. 1879, 1900, 1907, poems, c. 1900, and sermons 1872, 1879, 1882; Edward Walter Clark, Jr. (1857-1946) papers: correspondence 1898-1901, genealogical research c. 1900; Louis C. Madeira, Sr. (1819-1896) papers: legal documents, 1869, 1890; Louis C. Madeira, Jr. (1853-1929) papers: correspondence, 1880, 1889, c.1890, 1896, 1909-1923, diaries, 1873-1876, 1912, 1916, education, 1866, 1868, 1894, 1906, legal documents, 1929; Crawford C. Madeira (1894-1967) papers: correspondence c. 1915; Edward Walter Madeira (1893-1956) papers: articles, c. 1900, legal documents, 1917, military service 1915-1916; Elizabeth Madeira (1906-2001) papers: correspondence, 1916, 1918, 1938-1939, 1942, diary, 1930; Edith Madeira (1865-1930) papers: transcribed letters. With the exception of the diaries, all the sub-series are arranged alphabetically by name of subject or correspondent. The diary sub-series are arranged chronologically. Edward White Clark was a wealthy Philadelphia businessman and patron of the arts. He was born in 1828 in Providence, Rhode Island, the eldest son of Enoch White and Sarah Crawford (Dodge) Clark. He came to Philadelphia with his parents in 1837 and was educated locally at Central High School. Soon after graduation he joined his father’s thriving banking firm, E.W. Clark & Company. In 1849, at the age of 21, he was made a partner. 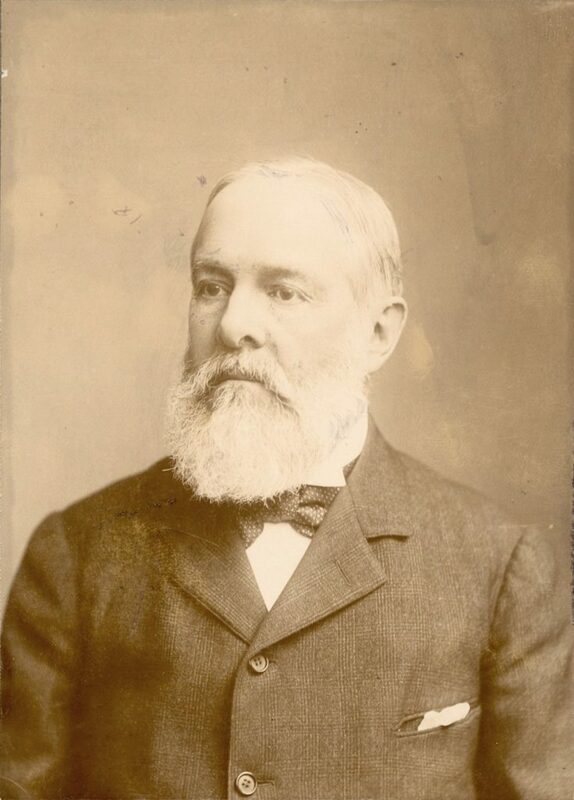 In 1856, when his father died, he became the senior partner in the company. For forty-eight years he continued as head of the firm. During this time he was also a director of several major Philadelphia corporations, including the Fidelity Trust Company, First National Bank and the Lehigh Coal & Navigation Company. His huge success in his business endeavors made it possible for him to be a benefactor of the University Museum of the University of Pennsylvania. Edward gained an appreciation of Middle Eastern archaeology during his travels to Egypt, Syria and Jerusalem in the 1850s. As a result, he and his brother, Clarence H., jointly endowed a research professorship in Assyriology for the Department of Semitics; this was the first step the university took in creating the museum. Additionally, Edward and Clarence H., along with other university benefactors, underwrote the first expedition initiated by the university. Edward was considered for the position of trustee of the University, but apparently declined to accept the honor. There can be no doubt that E. W. Clark was one of the founders of the University Museum. Edward was an active member of Germantown society, where he made his home in the 1860s. He belonged to several socially exclusive clubs, particularly the local country club, and the Germantown Cricket Club. He was actively engaged with the Unitarian Church of Philadelphia and Germantown as evidenced in his collection of sermon books and in his diaries. He married Mary Todhunter (Sill) Clark (1835-1908) in 1855. Her parents, Joseph Sill and Jane Todhunter, emigrated from England to Philadelphia in the early nineteenth century. She was born 1835 in Philadelphia. Along with her husband, Mary was active in the Philadelphia and Germantown Unitarian Church. They had five sons and one daughter. Edward Walter Clark, Jr. (1857-1946; B.S. 1877) was the eldest child, Clarence Munroe Clark (1859-1937; A.B. 1878), Joseph Sill Clark (1861-1956; A.B 1881, A.M. 1884, LL.B. 1885), Herbert L. Clark (1865-1940; A.B. 1887, Harvard), Marion Clark (1868-1939), and Percy H. Clark (1874-1965; LL.B. 1899), was the youngest of six children. Edward, the eldest child of Edward and Mary, was a competitive athlete and sailor. As a young man he played cricket in several local leagues and played internationally. In his later years he enjoyed racing and financing sloops for professional competitions. As a businessman he was equally active and successful. He was a senior member in his father’s firm E. W. Clark & Company until his death in 1946.As an alumnus of University of Pennsylvania, he made many contributions throughout his lifetime. Marion Clark, Edward and Mary’s only daughter, was born on March 23, 1868. Marion married Louis Childs Madeira, Jr., son of Louis Cephas Madeira, Sr. They had two sons, Edward Walter Madeira (1893-1956), Crawford Clark Madeira (1894-1967) and one daughter Elizabeth Madeira (1906-2001). 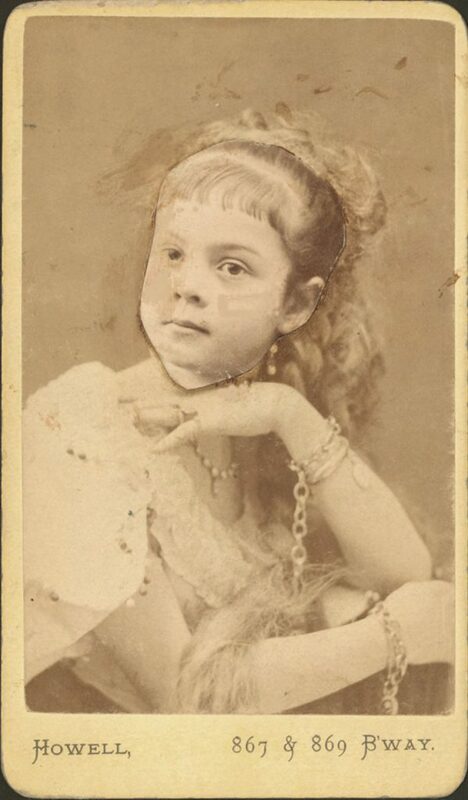 Another child Mary Madeira (1895-1895) died in infancy. Marion dedicated her time to social causes. She contributed greatly to University of Pennsylvania’s School of Social Work. Louis was born in 1819. According to the 1880 federal census, Louis’ occupation was a fire insurance agent. He married Adeline Laura Powell in 1850. They had six children, Kate P. Louis C., Henry, Adeline, Percy and Edith. Louis, the eldest son of Louis and Adeline, was born in Philadelphia in 1853. 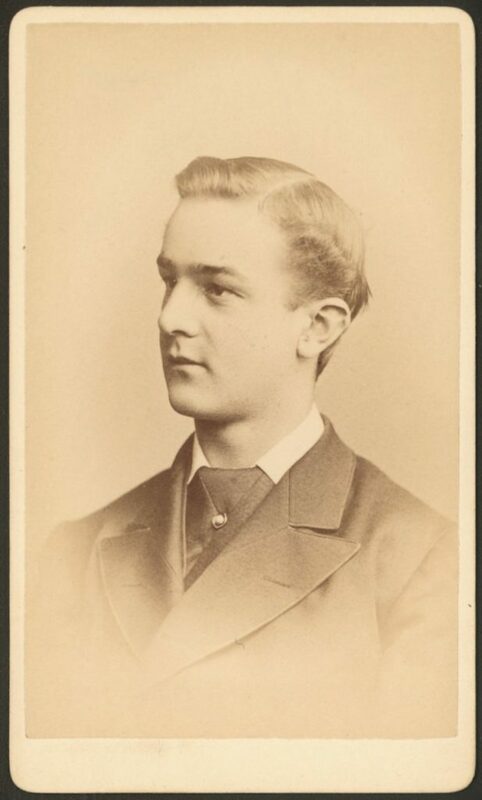 He attended the Episcopal Academy and entered the University of Pennsylvania as a member of the Class of 1872. He left the university as a sophomore and began work as a civil engineer for several rail road companies. Beginning in 1877 he entered the insurance business and worked for several companies including, Madeira, Hill & Company. He married Marion Clark and had three children, Edward Walter, Crawford, and Elizabeth. A fourth child, Mary, died in infancy. He had an active social life in Philadelphia and Germantown and belonged several local clubs. In 1890 he appointed commodore status in the Schuylkill Navy. He served as an Alumni Trustee of the University of Pennsylvania from 1910 to 1930 and was active in the Athletic Association of the university. Following in the legacy of his father-in-law, he served on the Board of Managers of the University Museum. Edward was born in 1893. He was the eldest son of Louis and Marion. As an undergraduate he served as class president and a member of the varsity crew. He continued his studies as a law student at University of Pennsylvania and graduated in 1915. After graduation he began a career in the military. He served as a Private 1st Troop, Philadelphia City Cavalry, during the Mexican border war from 1916-1917. While stationed there he gained a great deal of knowledge about handling horses. His knowledge brought him a promotion in the U.S. Army while he served in World War I as Captain, Headquarters Troop, 79th Division from 1918-1919. 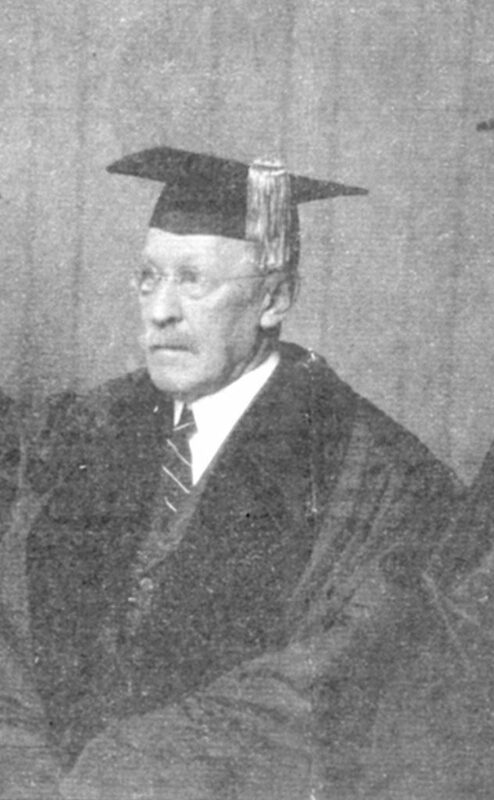 After his military stint, Edward served as assistant to the vice provost of University of Pennsylvania from 1922-1926. He married Alice Chapman Thompson Downs and together they had one child, Edward Walter Madeira, Jr. and raised a second son, Norton Downs III, from Mrs. Downs’ first marriage. Edward Walter Madeira died at the age of 64 in 1956. Crawford was born February 23, 1894 and died in January 8, 1967. He was active in the University of Pennsylvania’s soccer team, football and varsity crew. Crawford served many years in the U.S. Army as a Lieutenant of the 16th Cavalry. After his duty in the 16th Cavalry he served in both World Wars. As a civilian he served as vice president of several coal businesses. And was an active member of the University’s Alumni Society and eventually elected President. He continued his support later in life giving generously to the Department of Athletics. He married Sarah Claypoole and had three sons, Crawford Clark Madeira, Jr., Lewis Neilson Madeira, and Harry R. Madeira. Elizabeth was the youngest child of Marion and Louis Madeira, Jr. She continued her mother’s legacy of donating money and time to social causes and contributed to the University of Pennsylvania’s School of Social Work. She resided in Bryn Mawr, Pennsylvania and never married. Edith was born in Philadelphia in 1865. She was the youngest child of Louis and Adeline Madeira. She was trained as a nurse and served during World War I in Palestine for the American Red Cross. The collection offers a perspective on the personal, social, and professional lives of the Clark and Madeira families in the late nineteenth to early twentieth century. It is reflective of a rich and vibrant piece of upper class Philadelphia family history. It describes a family whose relationship with the University of Pennsylvania spans several generations. Their affection for learning, travel as well as their undying affection for each other is apparent in their writings. The bulk of the collection consists of sixty-four volumes of diaries and journals written by four members of the family. The primary diarist was Edward White Clark, whose writings extend to fifty-three volumes of dairies and journals. The entries are consistent and detail his daily activities from the year 1851 to 1863 and 1871 until his death in 1904. His journals begin with a description of Egypt and the Holy Land; his diaries cover his personal and social life in daily detail, such as his comments on sermons at the Germantown and Philadelphia Unitarian churches and the opening of the Centennial Exposition in Philadelphia. There are also brief mentions of his business career and of the Civil War. Three volumes of diaries, covering the years 1870-1871 and 1904-1905, were written by Edward’s wife, Mary Todhunter Sill Clark. Two volumes of diaries, covering the years 1883 and 1890, were written by Edward’s daughter, Marion Clark Madeira. Six volumes of diaries, covering the years 1873 – 1876, were written by Edward’s grandson, Louis Childs Madeira, Jr. Letters and other manuscripts are also included in the collection, documenting the lives of Mary Todhunter Sill Clark, Marion Clark Madeira, son-in-law Louis Childs Madeira, Sr., Louis Childs Madeira, Jr., and grandsons Edward Walter Madeira and Crawford C. Madeira. Marion C. Madeira’s collection includes manuscript letters and photographs from her children, primarily from Edward and Crawford, but also from Louis. 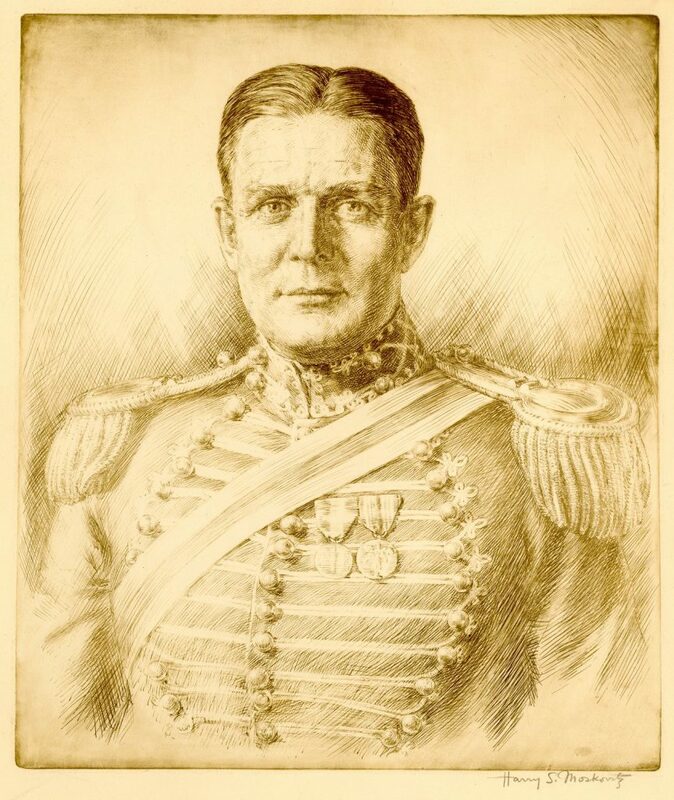 They span a few years from 1916 -1919, which includes their service in the 1st Troop, Philadelphia City Cavalry during General Pershing’s punitive expedition to Mexico; the correspondence documents military life during the turn of the twentieth century. Her collection documents her creative and artistic expression. 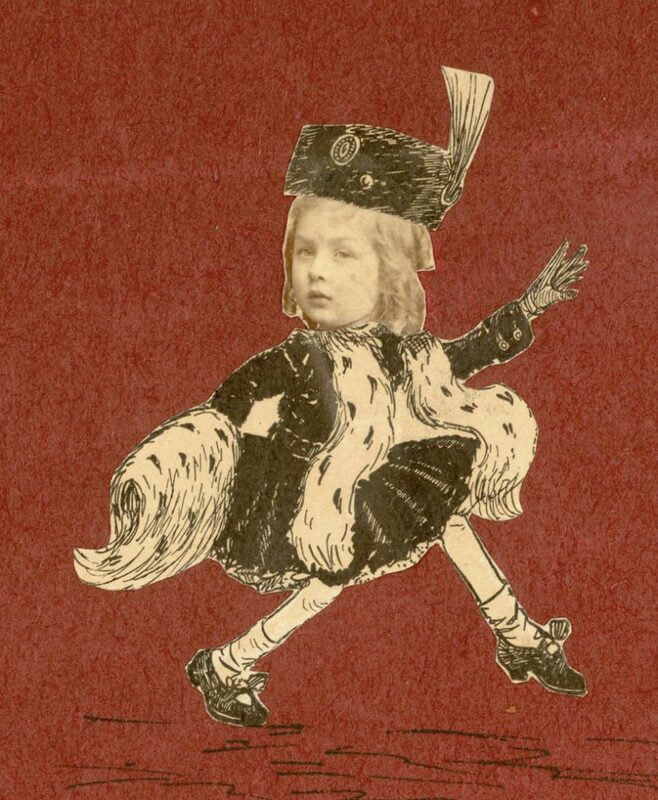 This is evident by the numerous poems, conundrums and scrapbook postcards she created throughout her lifetime. The collection also includes genealogical research and notes detailing the Clark and Madeira family. There is material and correspondence regarding the Clark family’s ancestors in England dating back to the fourteenth century. A family history book includes several personal items from the Madeira family children, such as a locket of hair. Included with the personal items are several noteworthy legal documents such as the copies of the wills several Clark and Madeira family members. Another noteworthy item in the collection includes Edith Madeira’s (1865-c. 1951) transcribed correspondence during her service with the American Red Cross in Palestine, which span from 1917 to 1919. Philadelphia (Pa.)–Social life and customs–19th century. World War, 1914-1918–War work–Red Cross.